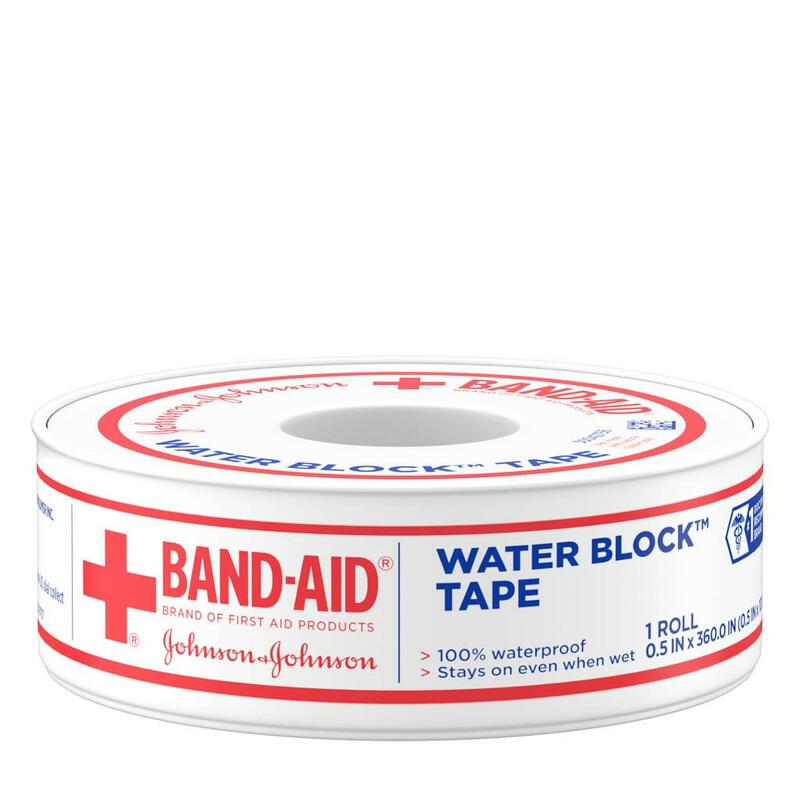 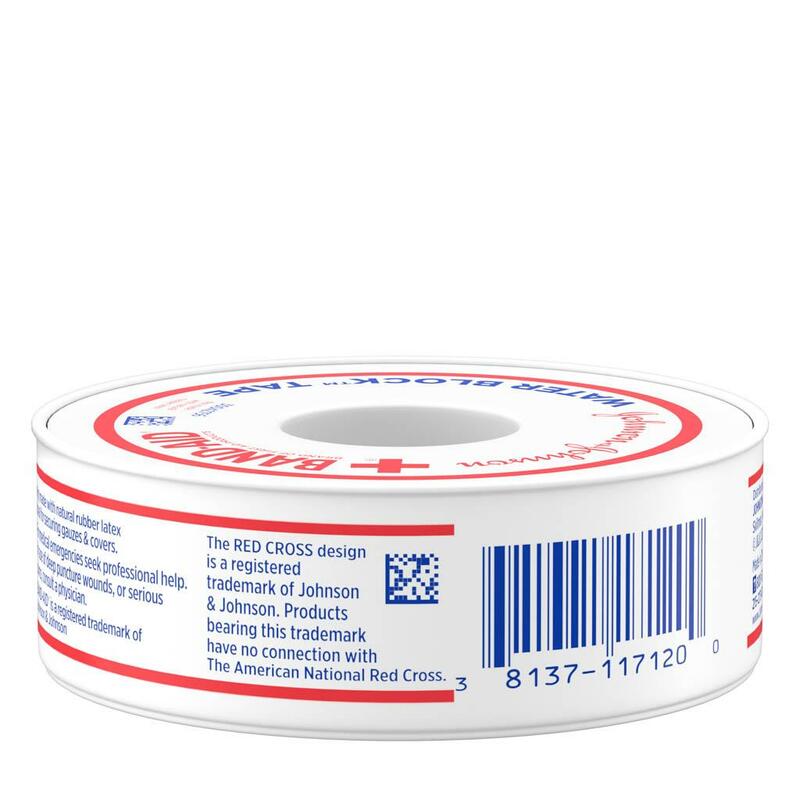 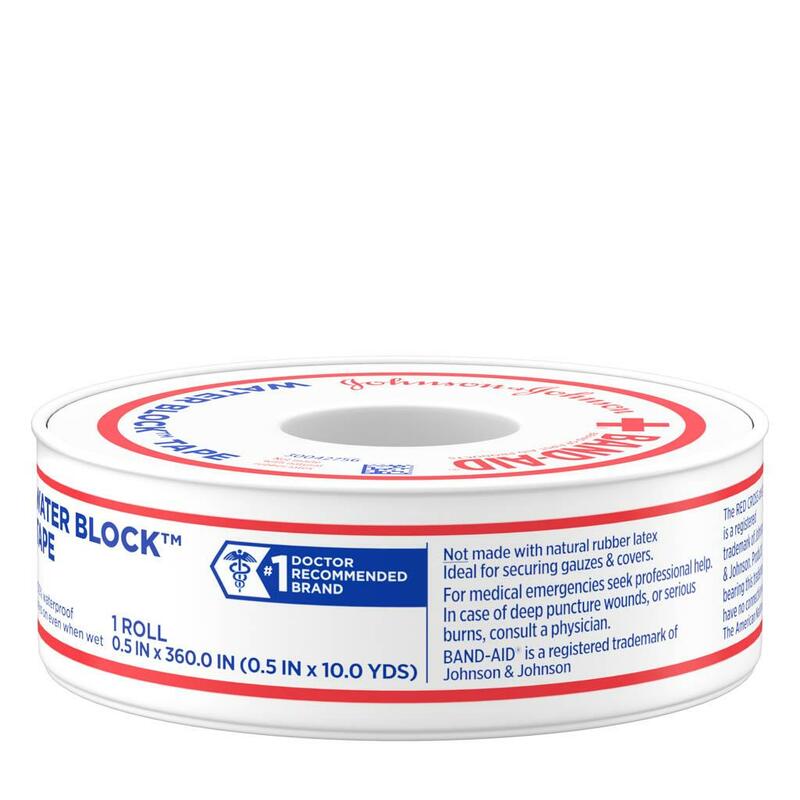 BAND-AID® Brand WATER BLOCK™ Tape firmly secures dressings or bandages to wounds, for advanced first aid protection. 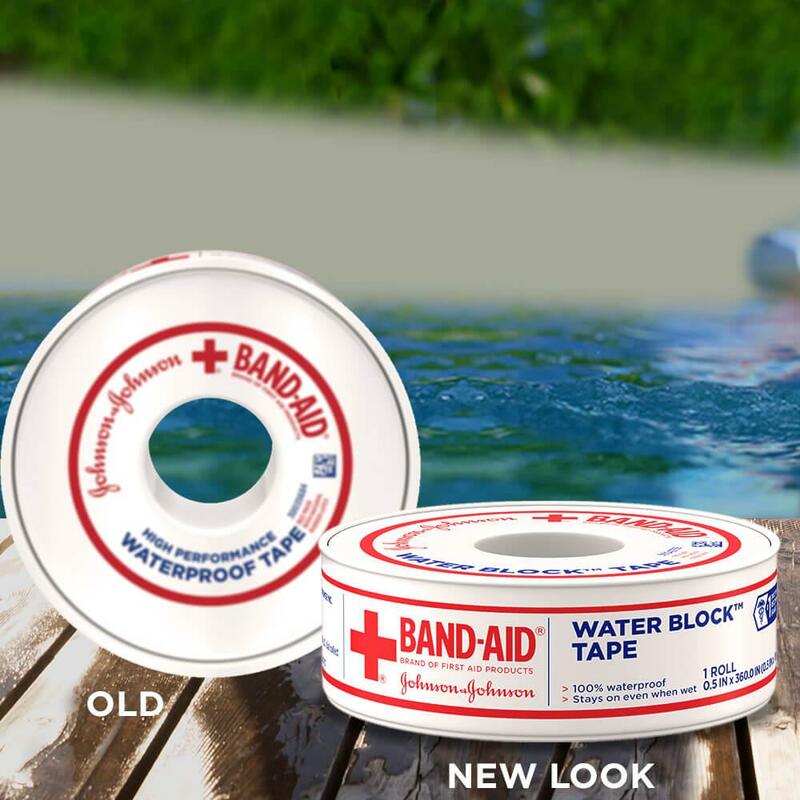 Designed to be 100% waterproof, it is durable, and stays on, even when wet, so bandages stay on in the shower or bath without coming loose. 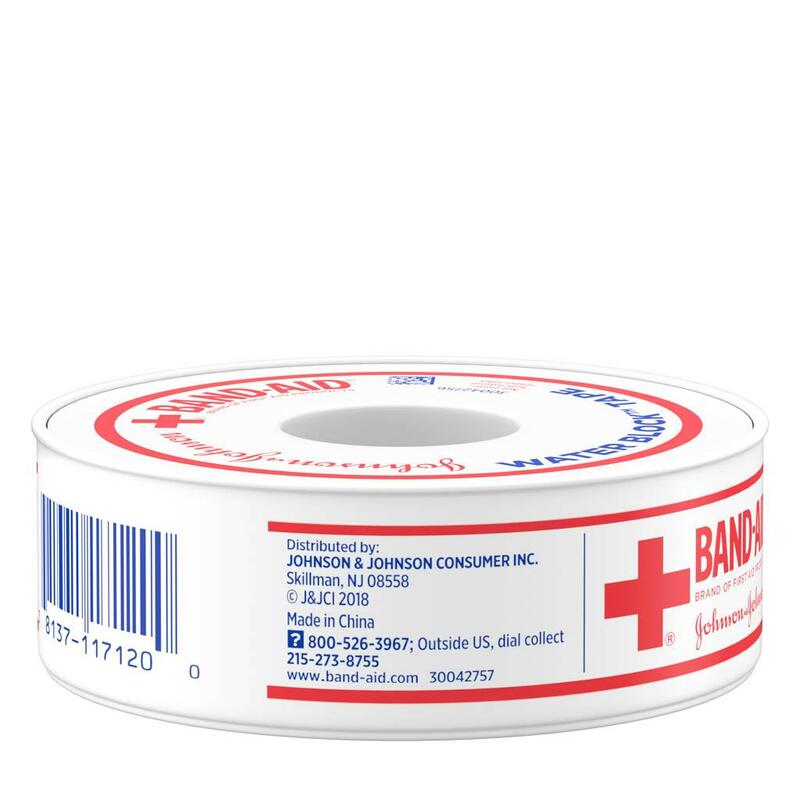 This adhesive bandaging tape comes in a convenient roll that keeps the tape clean, and it tears easily by hand, so it can be customized to fit any size bandage.